I've played this game and I think it's fun. The cards that you collect as you build your herd have extremely well drawn art on them. It's not a complicated game to play and it might be boring to older kids. 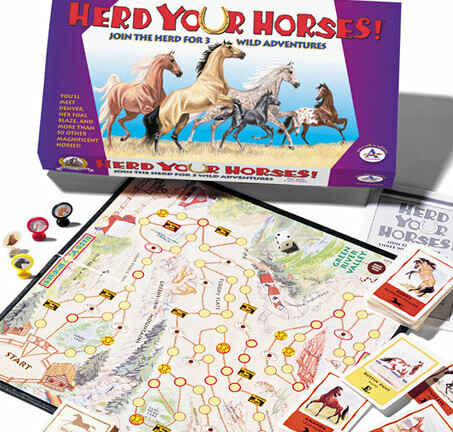 Loaded with facts, adventures and beauty, our most popular award-winning game allows players to experience life as a ranch hand or as a member of a wild herd as they move along an adventure-filled game board. 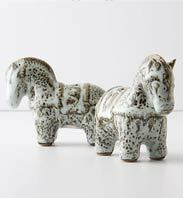 Included is a deck of beautifully designed horse cards each with the name, breed, color, markings and biography of a fictional horse. Includes a solitaire game for solo play. Ages 8 and Up, 2 to 4 Players.